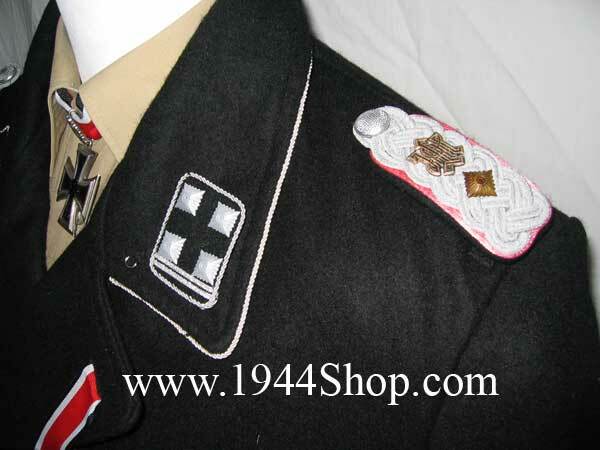 Home > WW II Germany > German Uniforms > SS-Panzer and Assult Uniforms. 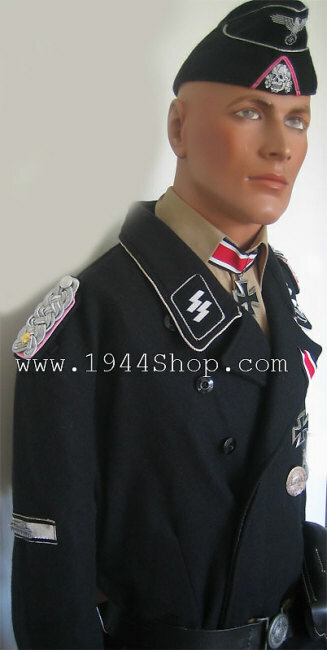 These uniforms are as close as genuine you get! Large approx: Chest 111cm(44"),Waist 91cm(36") Extra-Large: XL=Chest 116cm(46"),Waist 96cm(38"). All uniforms are adjustable often with waist belt(both on tunic and trousers) and ankle cord, so normally you can adjust it pretty much to fit! 1. 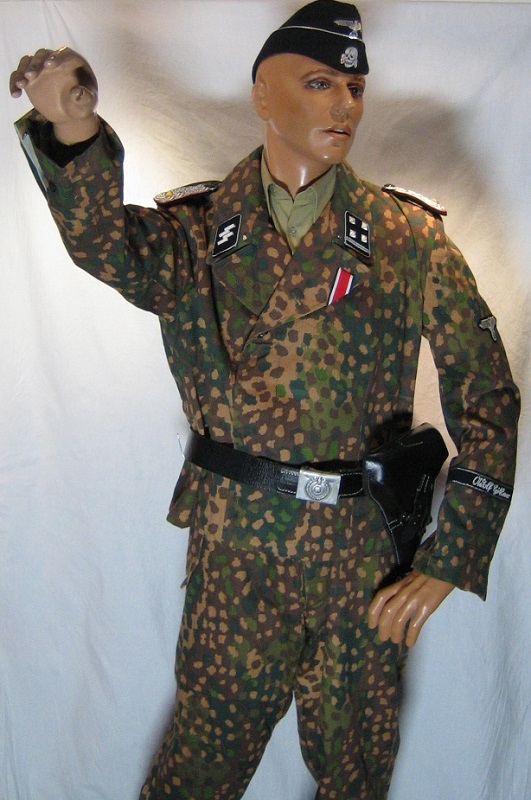 SS-Panzer LSSAH "Jochen Peiper" Uniform. 1. 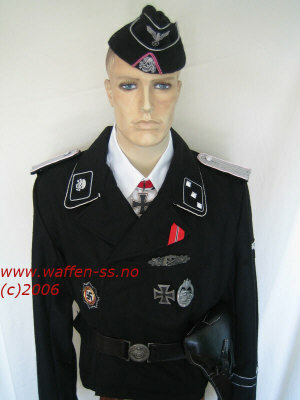 SS-Panzer Division Leibstandart-SS "Adolf Hitler"
100 % SS-Obersturmführer J. Peiper Uniform! 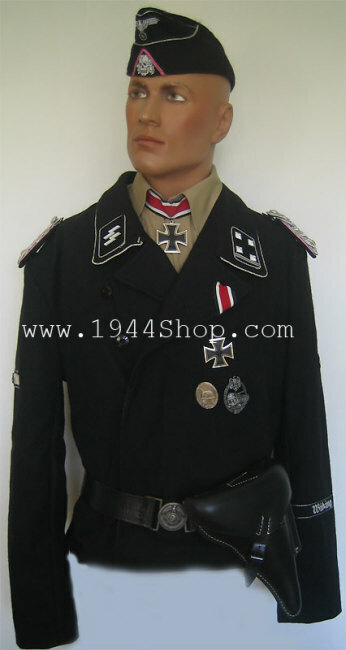 Unbelievable good authentic repro of both Tunic and Trousers of J. Peipers own Panzer uniform! - Ribbon for Iron Cross 2nd Class. 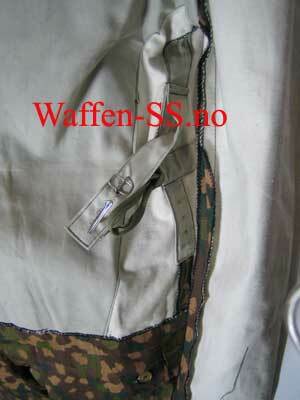 - Shoulder boards for SS-Obersturmbannführer with one pip. 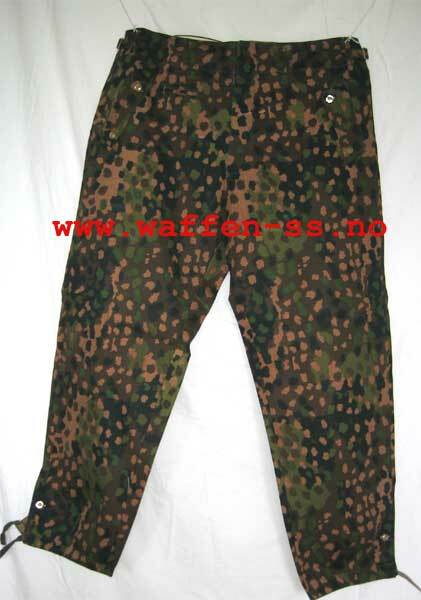 Trousers are included in same very good quality! 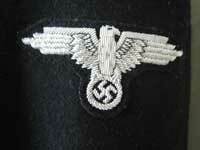 Read more about 1.SS "Adolf Hitler" here. 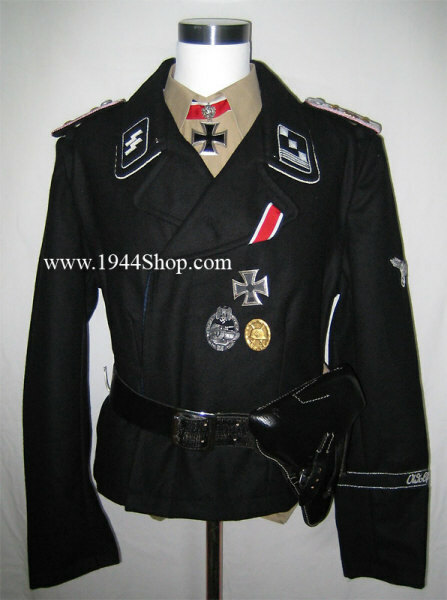 "The most successful tank commander in history"
Unbelievable good authentic repro of both Tunic and Trousers of Michael Wittmann own Panzer uniform! 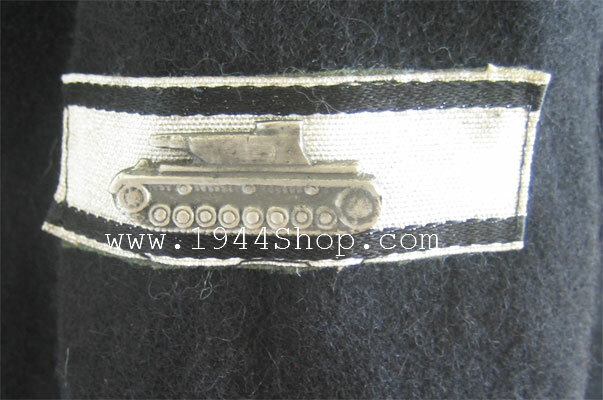 - Shoulder boards for SS-Obersturmbannführer with two pip and Monogram for "LAH"
Read more about Michael Wittmann here. SS-Oberstrumbannführer, 5. 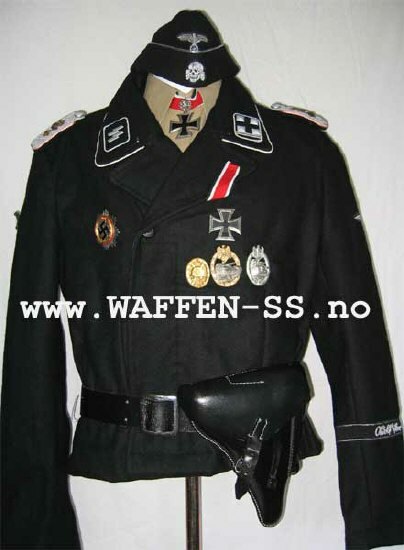 SS-Division "Wiking" Uniform. 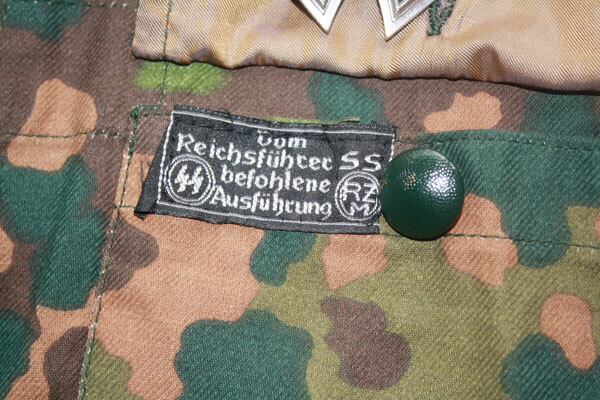 SS-Obersturmbannführer 5. SS-Panzer Division "Wiking". 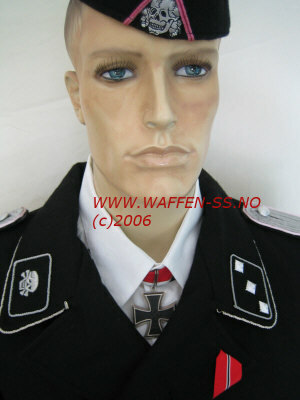 Unbelievable good authentic repro of both Tunic and Trouses of SS-Obersturmbannführer in "Wiking"! - SS-Collar tabs in silver. 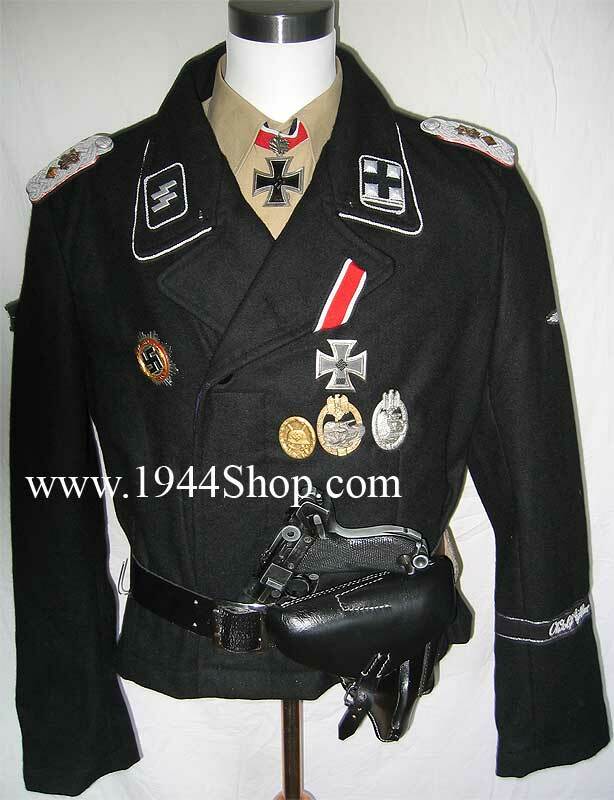 - SS Officer sleeve eagle. - Cuff-title with "Wiking" in silver bullion. 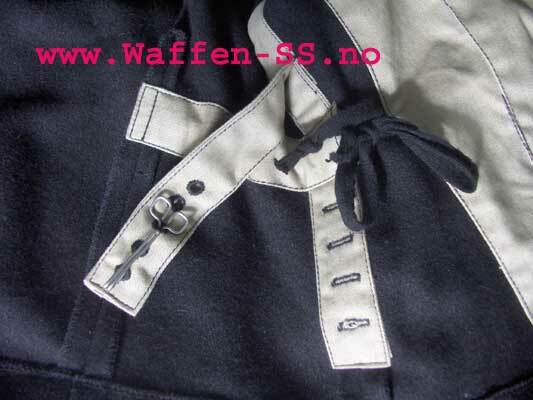 - Shoulder boards for SS-Obersturmbannführer. - One shoulder star for SS-Oberstrumbannführer. - With Tank destoyer badge on right arm! SS-Untersturmführer, 3. 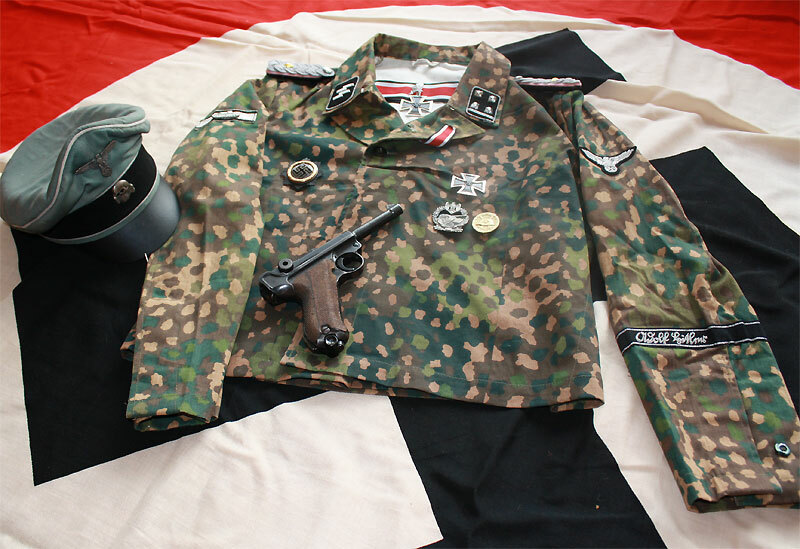 SS-Division "Totenkopf" Uniform. 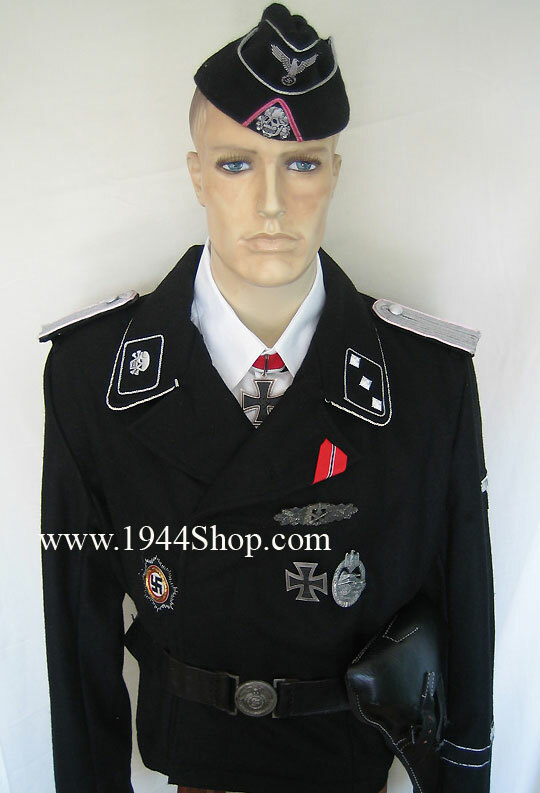 Very good autentic repro of a SS-Untersturmführer Uniform in 3. 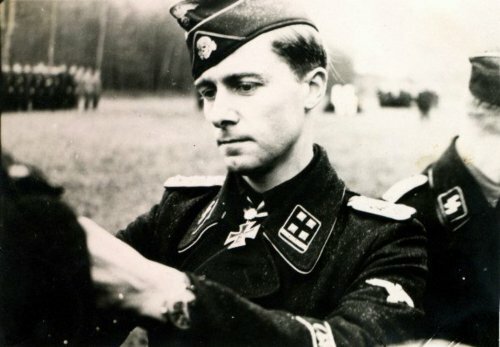 SS Panzer Divison "Totenkopf". 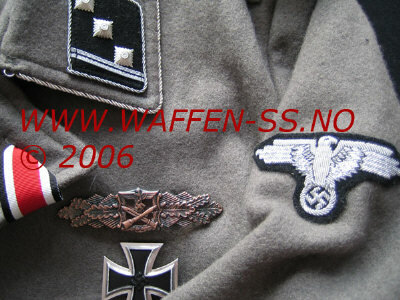 - SS-Collar tabs in silver, with "Totenkopf" on right. 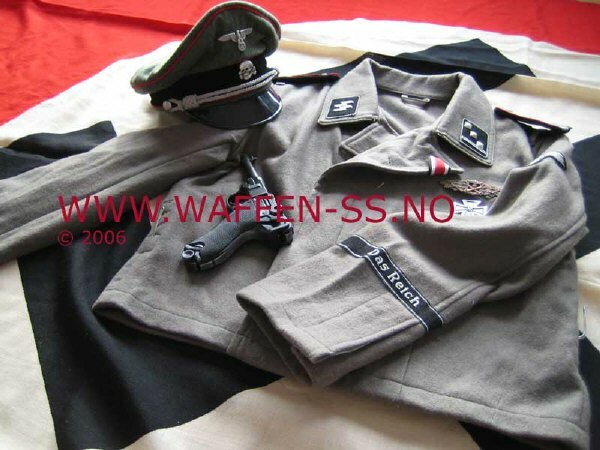 - SS Officer sleeve eagle. - Cuff-title with "Totenkopf" in silver bullion. - Ribbon for East-Front medal. 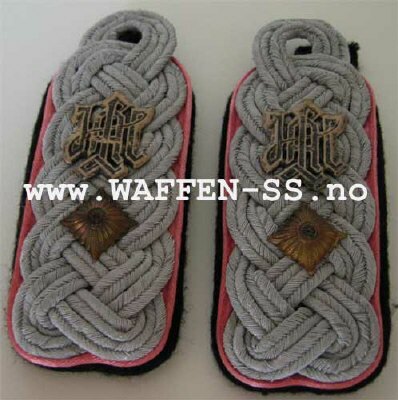 - Shoulder boards for SS-Untersturmführer. Read more about 3.SS "Totenkopf" here. 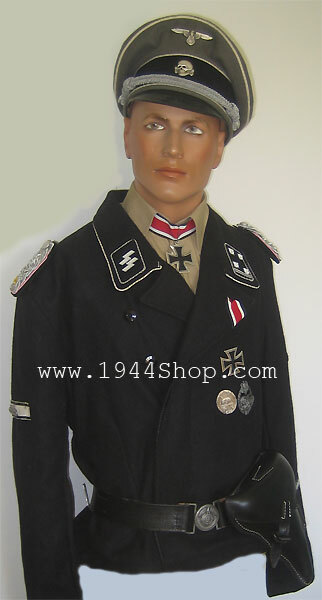 Unbelievable good authentic repro of both Tunic and Trouses of a SS- Obersturmführer in 11. SS Nordland. 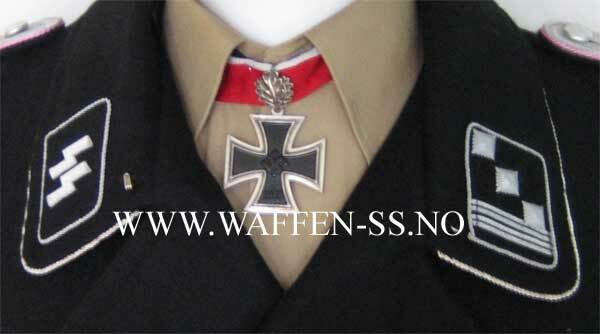 - SS-Collar tabs in silver "SS- Obersturmführer".- SS Officer sleeve eagle.- Cuff-title with "Nordland" in silver bullion.- Shoulder boards for "SS- Obersturmführer".- One shoulder star for "SS- Obersturmführer". 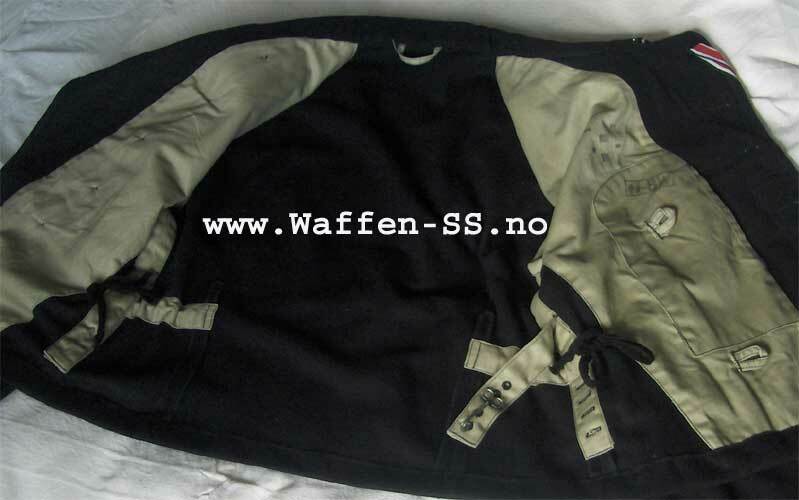 Read more about 11.SS "Nordland" here. "Das Reich" Assault Gun uniform. 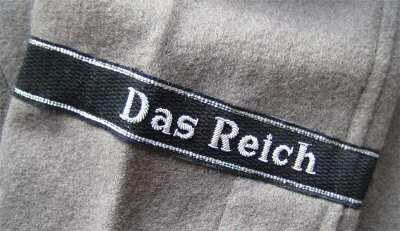 SS- Obersturmführer in "Steingrau" wool. 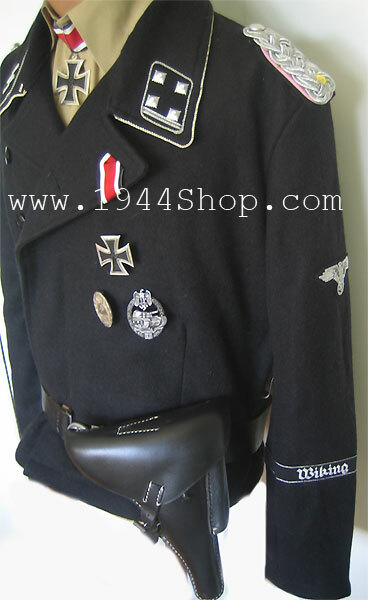 - SS-Collar tabs.- SS sleeve eagle.- Cuff-title with "Das Reich".- Shoulder boards for "SS-Unterscharführer".- Wool trousers in "Steingrau" ARE included in! 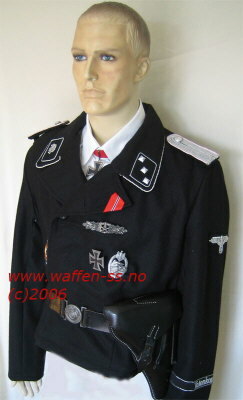 "Jochen PEIPER" LAH SS-Erbsenmuster Panzer Uniform. 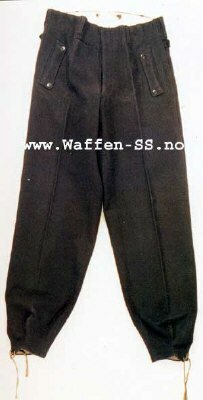 Unbelievable good authentic repro of both Tunic and Trousers of "SS-Erbenmuster" Uniform! - Cuff-title with "Adolf Hitler" in silver bullion.